The recognition of the Rockwell brand often strikes a familiar chord but it is one that evokes only a sense of prominence, prestige and respect. This is perhaps why, even after more than 16 years in the real estate industry, Rockwell Land’s upscale residential condominium developments in Makati continue to be the most coveted address by the country’s affluent. This only means having the same experience of convenience, quality and exclusivity that is synonymous in all its previous developments. So what can a future resident of The Grove expect? Officials tick off some of the more notable features that can only be had at a Rockwell development. For one, well-trained and reliable security personnel will be making rounds within the entire development 24/7. The Grove by Rockwell will also have 100 percent backup power in case power outages occur. It likewise employed state-of-the-art design techniques by flood and earthquake consultants to ensure that the entire development is calamity resistant. 3.) A taste of The Grove. Rockwell Land truly knows how to satisfy the discerning palate of its residents, as it brings to the property food establishments that one can enjoy every day. 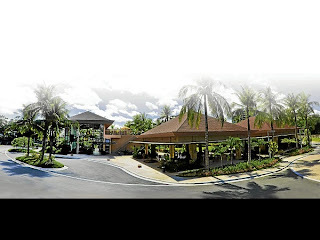 Sunrise Buckets from Greenhills, Umami Ramen Bar and Restaurant and the staple Starbucks will be found at The Grove. Some of the retail and food establishments already opened in December last year. 4.) Ideal community. Rockwell Land prides itself in developing self-contained communities where everything residents would need is just around the corner. While a few commercial developments will be put up within The Grove, right outside the property are the so-called essentials: world-class hospitals, schools, malls and shopping centers. Add to that, the demographics—or the people who will become your future neighbors—will be composed mostly of newlyweds, start-up and established families, emerging entrepreneurs and highly successful businessmen. 5.) The Rockwell standard. 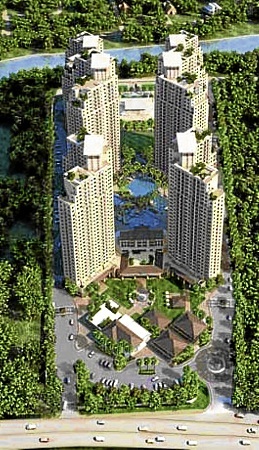 Despite being priced more affordably, The Grove followed the same building standards its previous Makati projects had—from the quality of the unit finishing, the landscaping and cleanliness of the surroundings, the preference to pedestrians on the road and the meticulous and down to the personalized property management for all concerns.